Lianne joined our firm in August 2017 and has been a residential Conveyancer since 2004. She studied Licensed Conveyancing in Ystrad Mynach College in 2007. 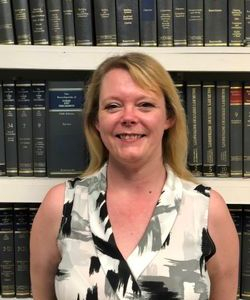 Lianne deals with all aspects of residential property matters such as sales, purchases, remortgages and transfers of equity and very much enjoys more complex areas such as New Build and Leasehold transactions. Since joining Gartsides, Lianne has built strong relationships with clients and colleagues alike and prides herself on continuing to provide clients with a positive conveyancing experience. In her spare time, Lianne enjoys cooking and karaoke (although she has stated that she is not very good at either! ).